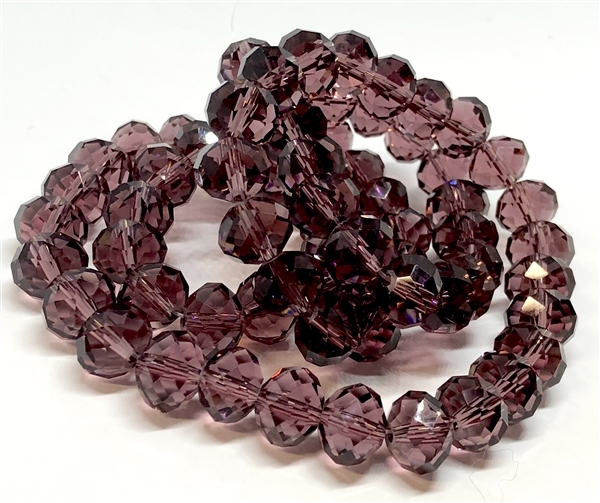 Crystal glass dark amethyst beads, dark amethyst purple, rondelle beads, beads, faceted, crystal glass, machine cut, transparent, jewelry making, vintage supplies, B'sue Boutiques. Beautiful dark amethyst purple, just yummy! Measuring 8mm. Seventy-two (72) piece lot. Sold by lot.